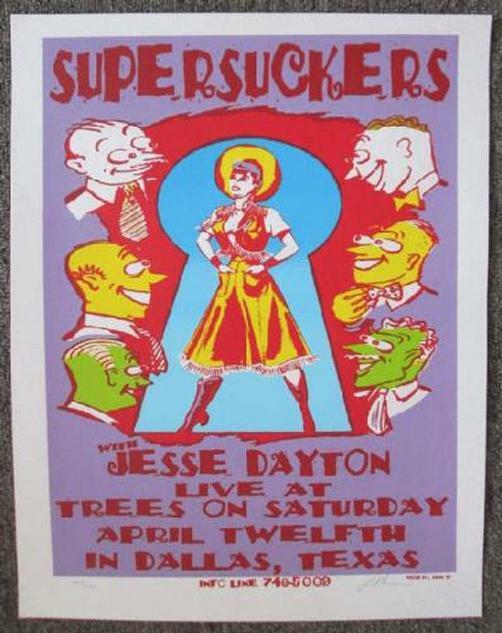 Original silkscreen concert poster for Supersuckers at Trees in Dallas, TX from 1997. 17 x 22 inches. Signed & Numbered out of only 150 by the artist Lindsey Kuhn.